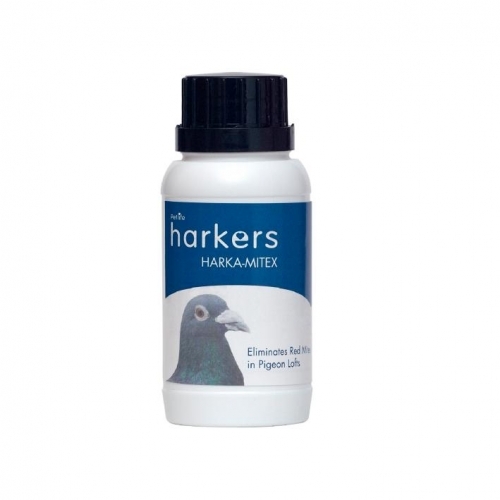 Specially formulated for pigeons, Harkers Harka Mitex is highly effective against red mite in pigeon lofts, which are notoriously difficult to treat. Providing active protection for up to 12 weeks, Harkers Harka Mitex contains the active ingredients Cypermethrin, safe for use with pigeons in situ without need for their removal, with a single application providing rapid control of the infestation of red mite. Note: FOR USE ONLY AS AN INSECTICIDE. Always read the instructions in full before use.